Personalized luggage tags aren’t just for plane-hopping business travelers – they’re ideal for parents with small children. 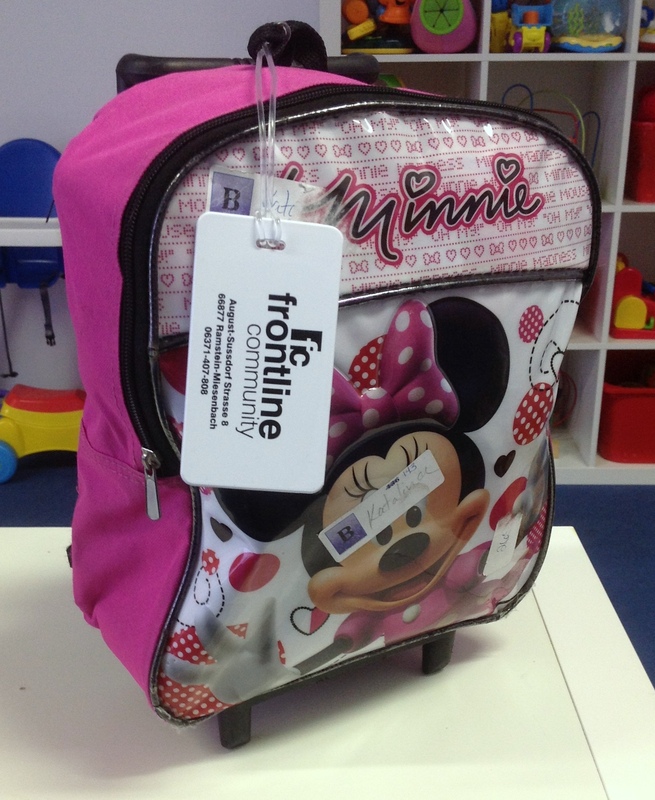 Our client, Frontline Community Church in Ramstein, Germany, has found a clever way to use luggage tags – attach them to backpacks and diaper bags instead of stickers. Frontline’s Melissa Pontiff says parents and teachers in the church’s children’s ministry were plagued with the issue of how to efficiently label bags. When stickers weren’t working anymore (they became too difficult to remove from the bags and left a sticky residue), Pontiff reached out to ePromos. Our solution? Clean white luggage tags that feature the church’s logo and address on the front, and ample room on the back to write the child’s name. A plastic loop makes them a cinch to attach and remove. The personalized luggage tags were given as gifts to parents with kids in the children’s ministry. The primary audience includes parents who bring a diaper bag for their child, although they were also given to parents of school-age kids to place on backpacks. Let this story be an example that oftentimes, it’s the little things that make a big impact. It doesn’t take a huge budget to create an effective promotional campaign – it takes some thoughtful consideration on what could make your customers’ lives a little easier or better in some way.